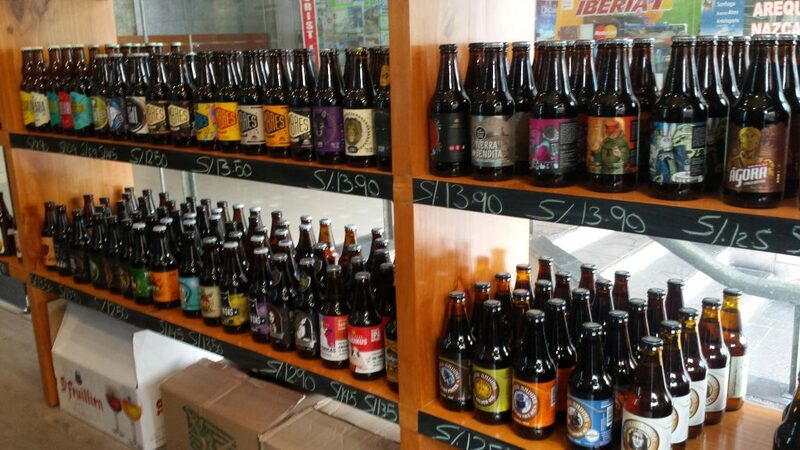 A sign of the growing popularity of craft beer in Peru is the recent appearance of specialty shops dedicated to Peruvian craft beer and imports, such as La Cerveteca. 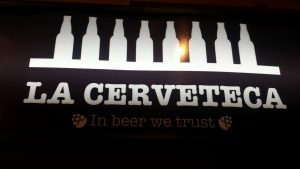 La Cerveteca is a small storefront operation, but it offers a widely representative selection of Peruvian craft beer from all over the country, and a few craft brews from neighboring countries, such as Chile, as well as imported beer –mainly from Belgium. 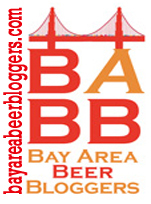 They also sell some brewery swag such as posters, T-shirts, logo glassware, etc. Most of the beer is stored at room temperature, but I was told that the stock rotates frequently. There is also an upright glass-fronted fridge which holds more bottles. La Cerveteca is located at 319 Ave. Ernesto Diez Canseco, Miraflores. They’ve only been open nine months, but the guy running the place when I visited said it had been going well so far. 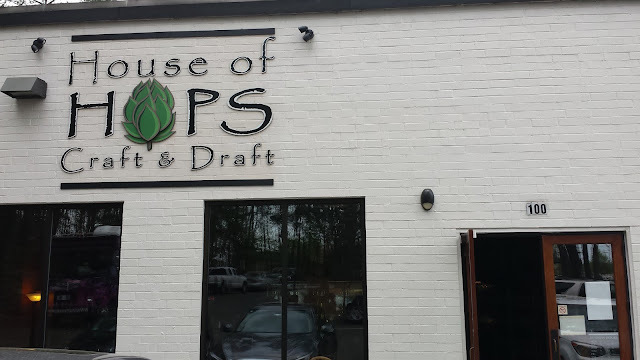 Another nice beer spot I enjoyed in North Carolina is House of Hops Craft and Draft tap house and bottle shop in Raleigh. I happened upon it purely by chance: as I was slowing for an intersection I noticed its streetside sign out of the corner of my eye. Without a second thought, I turned around at the intersection and made my way to its door, and boy am I glad I did. The place has a friendly, comfortable vibe, with a bar and multiple taps, along with couches and a welcoming attitude to both kids and dogs. Ronna, who was on duty at the time, was really warm and welcoming, and gladly pointed us to local beer offerings on draft that we might like. 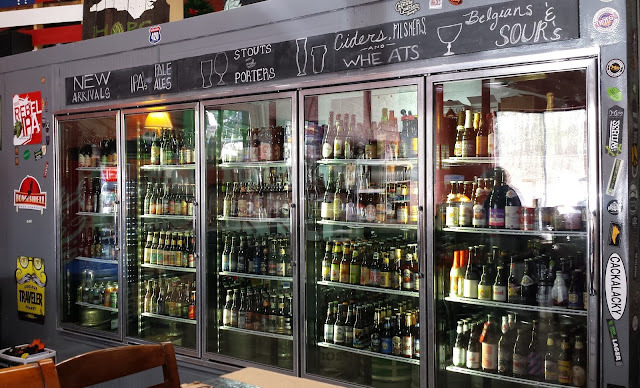 The bottle shop selection –both, refrigerated and on the shelves– can conservatively described as wide and varied. Everthing is clearly labeled with brewery, provenance and price, and for a traveler from the West Coast, such as me,offered many new discoveries, ranging from breweries I did not know to brews from known breweries which were not distributed out here. Susana and I drooled over the selections and but were only able to enjoy a half pour of beer before moving on to downtown Raleigh and our ultimate destination at the Raleigh Beer Garden. We did stop at House of Hops on the way back to load up on a few choice bottles to take home and enjoy later.